I'm not much of a foundation gal, even tinted moisturizers have me wanting to wash my face mere minutes after applying. That was the case until, I found my most loved base ever. I'm the kind of person who does hours of research before buying something, I don't have an impulsive shopping bone in my body. 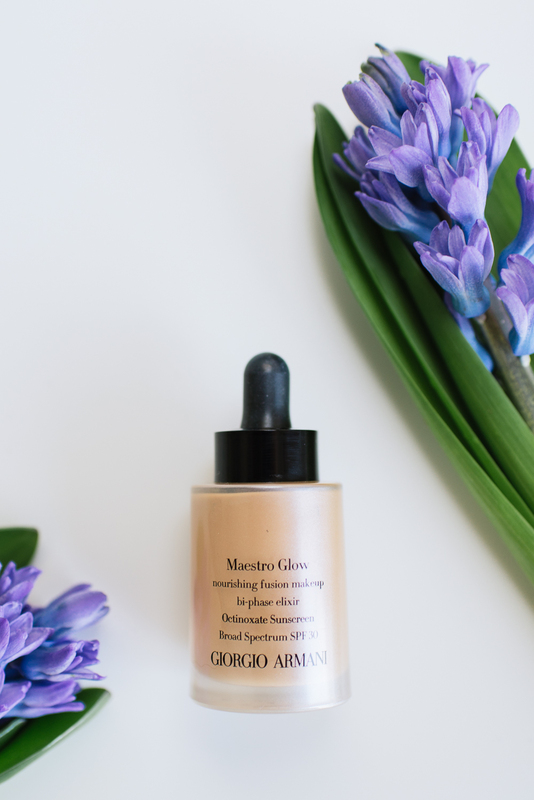 So when I ordered the Giorgio Armani Maestro Glow on a whim without swatching, Googling, or asking around, I was a touch nervous. It came, and I could've sworn that I had accidentally ordered a highlighter... Truthfully, this looks more like a highlight in the bottle, but once applied blends in seamlessly, feels hydrating without the tacking feel, and I'm left with an invisible, and weightless veil. I'm in the shade four, and three drops give my face the sheer coverage that I have been dreaming of! Needless to say I've been reaching for this everyday since scooping it up. An added bonus; It hasn't broken me out, or irritated my sensitive skin at all *throws fist in the air* Being excited about a product, and looking forward to using it on the reg, makes the price tag hurt a little less for me, and I'm absolutely smitten with it. Check out my recent videos to see this beauty in action!